Since Valentines Day is now less than a month away, I thought I’d share some FUN VALENTINE IDEAS I’ve seen around Blogville! How stinkin’ ADORABLE are these bags? 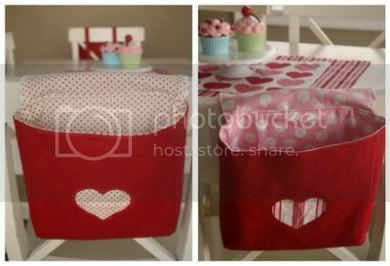 Perfect for Valentine TREATS and NOTES! Amy of Living Locurto FREE Valentine printables! She has valentines, treat toppers and even bookmarks!! Are you planning to bake/decorate cookies for Valentines Day? Bridget has some GREAT cookie ideas she’s done in the past!! I can’t wait to start some of my valentine baking……. 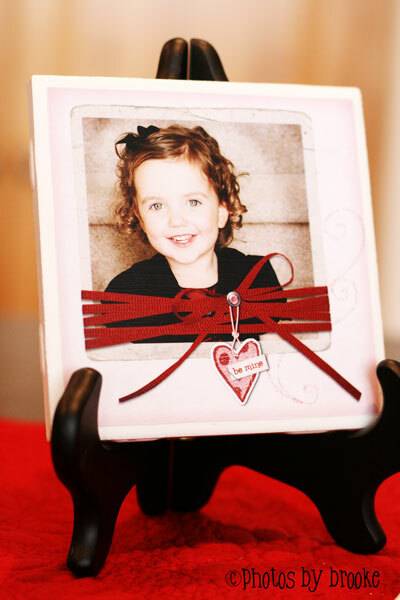 Brooke made these EASY photo tiles! 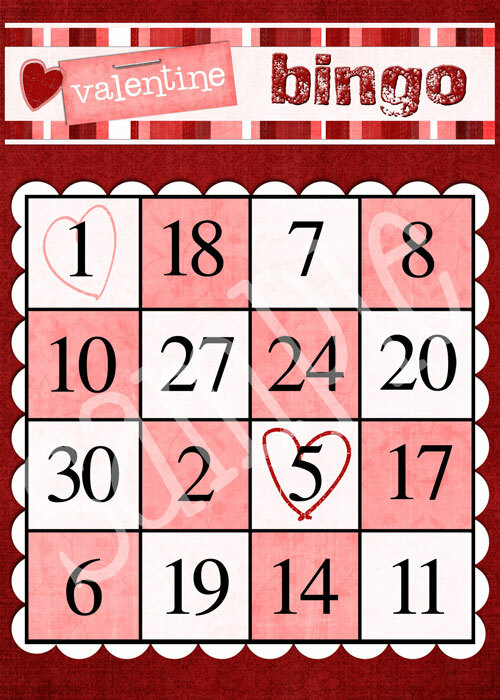 You could have lots of fun playing BINGO with these little Valentine-themed bingo cards she made too! 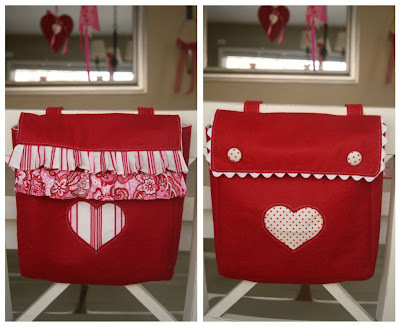 I’d love to hear about your valentine projects! If so when do you put it out? Great roundup!! These are really fantastic suggestions! So cute! We'll have to play Valentine's bingo with the kids! Such cute ideas! Thanks for sharing them with us! The link to the photo tile didn't work. It's really cute. 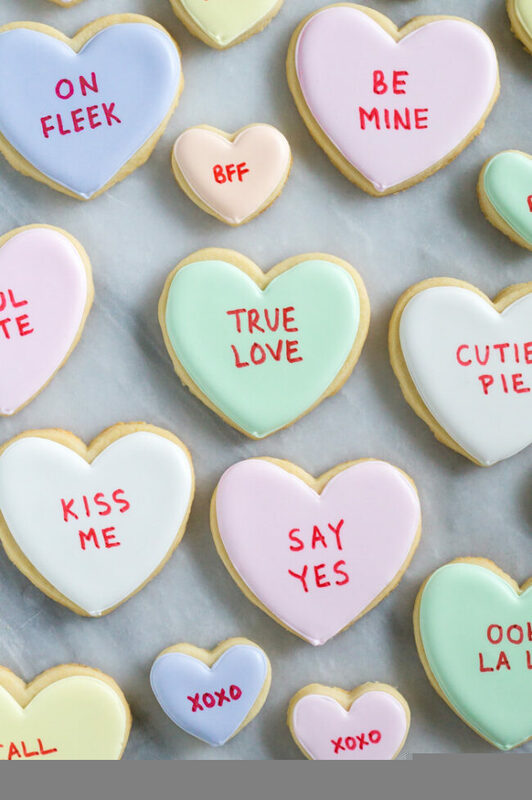 All I have to say…is I want about a dozen of those Valentine cookies of Bridgets…now! With a big glass of milk! Oh…a girl can dream way up here on Bainbridge Island…right?! I noticed all the Valentine's Day candy and cards in the store this week. I usually get my husband and son something and we go out to dinner. Adorable projects! I love the little bags! Sorry Darla that link was a little confusing – Brooke made the photo tiles and bingo cards – the link is under the bingo card pictures. Thanks for your comment on the wall art, I love them too! Hi Cheryl! !Love your blog!! I ran across an adorable cookie blog!!! Whimsy Cookie Co.blogspot .com…..check it out..the cookies are too cute!!! Love your blog! Thank you for compiling this awesome Valentine's Day entry. I'm going to try the felt wreath and the adorable cookies! Ahh fun! 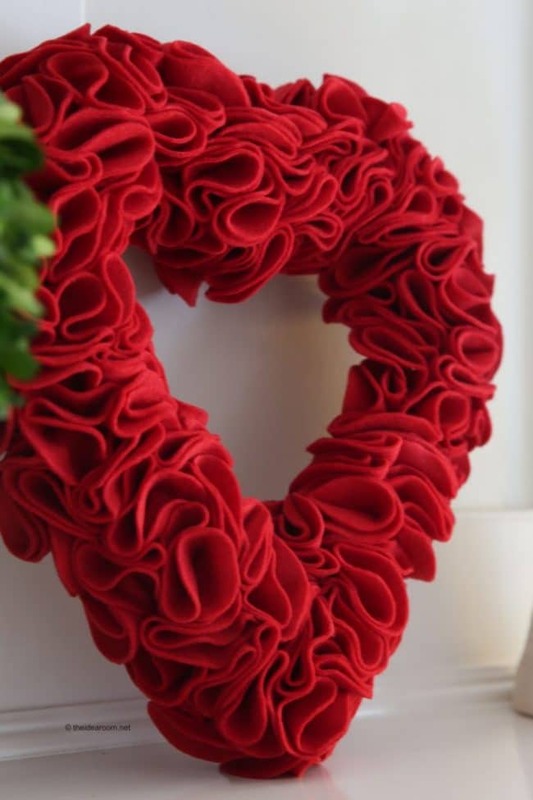 Valentine decor is always so adorable. I really like that wreath and the COOKIES! I don't know where to begin! I love everything. I think the cookies are my faves, but then again that heart wreath is just too cute! I love so many of the ideas you rounded up! Thanks for the link!